There was a lot going on in the middle of the country to begin February. It felt like winter to the north and west, but conditions were more like spring in Arkansas. With vastly different air masses colliding, there was a wide variety of weather conditions. Areas of snow and ice were ongoing during the wee hours of Feb. 7 from the Plains to the upper Midwest. In milder air from southern Missouri to the Ohio Valley, there was a potential for severe storms in Northern Arkansas. The event started with thunderstorms moving from Northeast Oklahoma into Northwest Arkansas around 2 a.m. CST. Initially, storms struggled to become severe. One storm managed to ramp up as it headed from Northwest Searcy County into Southern Marion County. According to the National Weather Service in Little Rock, shortly before 4:30 a.m. CST, this storm produced a weak tornado (rated EF1) south of Yellville (Marion County). 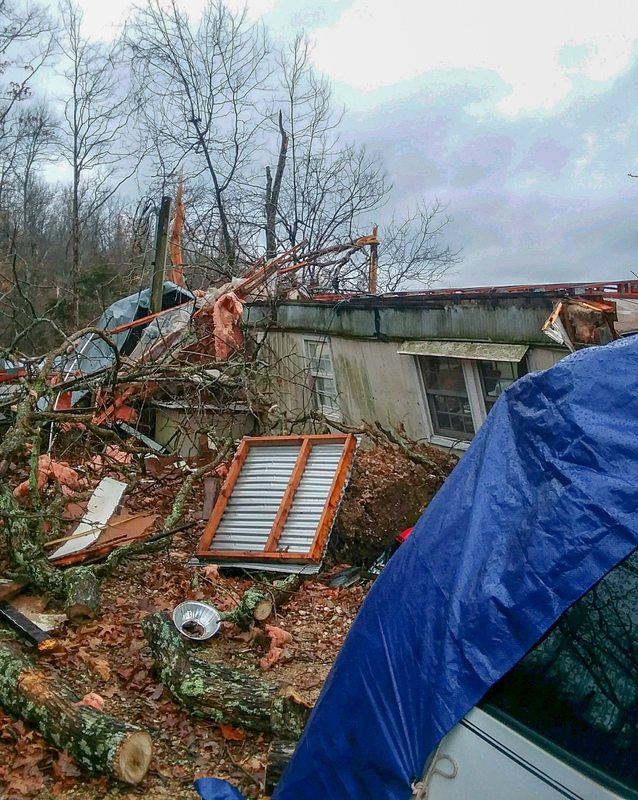 It was the first tornado of 2019 in the state. Numerous trees and power lines were downed, with a few trees landing on houses and blocking Highway 14 temporarily. 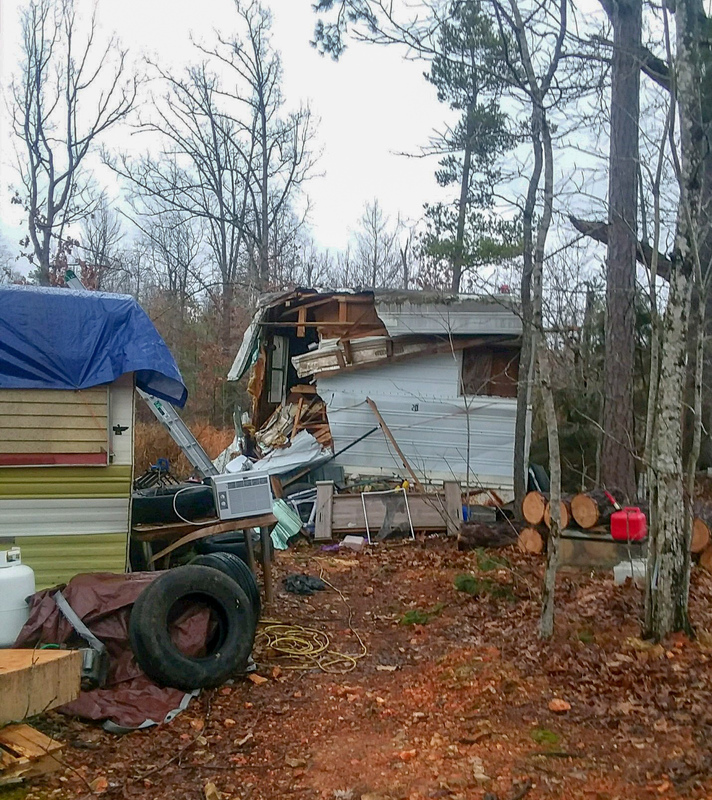 Several mobile homes were destroyed. At least three people were trapped in damaged structures, with one injury reported. 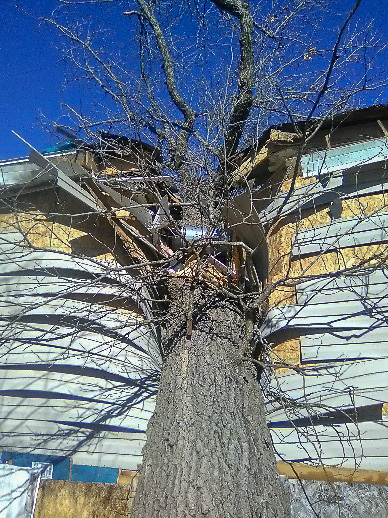 Preliminary assessments by emergency management identified nine homes damaged and two destroyed as of Feb. 12. The American Red Cross referred two survivors they feel will need further assistance. Emergency Management referred one and confirmed the previous two from Red Cross. Local church involvement when disaster strikes is vital in assisting individuals and families affected. Disaster Response wants to help local churches understand how important they are as partners in this ministry. We would love to come talk to your group, class, or church and begin a partnership that will make a meaningful difference when disaster strikes. Contact Janice at disaster@arumc.org to find out more. Saturday, April 6, 9 a.m. – 5 p.m. Harrison FUMC Email disaster@arumc.org to register. Registration deadline is Monday, April 1. Registration fee is $20 to cover training materials and lunch. Many times after a disaster, temporary housing in the form of a camper home is a good match for an individual, couple or small family. Sometimes other forms of temporary housing are not feasible for whatever reason. Disaster response has provided a used camper home on several occasions in certain situations. Anyone who has a retired camper trailer and is ready to part with it, please consider donating it to a family affected by disaster. A donation receipt for the market value can be provided. Contact Byron at vim@arumc.org for more information. Contact Byron at vim@arumc.org for more information and to schedule. We’re on the website now!! Arkansas Volunteers in Mission and Disaster Response now has a page on the arumc.org website. There is lots of good information there for individuals, teams, and local churches.